Although the student (ahem, me) was sleep deprived (2 nights of non-sleep with 2 big dog/puppies in bed sleep, badly coinciding with a new sail class), Captain Clint was ever patient & even-keel with his approach. He possesses an expert handling of sailing vessels, while sharing his knowledge, even to brain addled learners! Captain Clint has a laid-back, but thorough & methodical way of teaching. He has a passion & a (Jimi Hendrix) feel for sailing, that inspires those around him. I felt I knew the most important knots (somehow instant amnesia when asked to perform!) The Captain also taught some creative knots we’ve never seen before! The double lasso bowline, a cool one that I will need to practice! And The dangling doo-dads knot (my nickname [said with a sailor’s wink]), a creative rope twisting one 🙂 I feel fortunate to have had Clint show me the ropes. I would very much recommend Captain Clint to others learning to sail! Captain X was a very good instructor, friendly, thorough, patient. The only thing that kept me from awarding another star is that the sailing was perhaps too short. After the lesson, I suggest giving each student the helm for 15 minutes or so to sail how they wish. That is, a bit more letting folks put together what they learned without having step by step instruction. Would be good to let students struggle a bit and would build confidence.three day at same price would be ideal. But great instruction, would recommend to others. Capt Xa was great. Very patience and thorough. Captain X instructed us with great kindness and fairness. Captain x is a great teacher. This was an fantastic introductory course and I look forward to take the next few courses offered by Go Sail AZ. While the wind wasn’t always playing nice with us we were still able to get out and sail which was great. Captain Clint made everything easy and approached everything from a beginners standpoint. He was also very personable and made the hours on the lake fly by. If you’re on the fence about taking these courses, don’t hesitate. Jump in and do it, they’re worth every penny. For a introductory course, Capt. Clint goes well beyond the basics and provides far more than is covered just in the course and is very easy to talk to about a wide variety of sailing topics. Can’t wait to get out there on my own to further fine tune the skill set his started with me. Very much looking forward to taking more classes to further my knowledge and skill set. Never having been on a sailboat before, everything I knew came from a book. I was afraid it would be intimidating or difficult to get started. I could not have been more wrong. Captain Clint is easy to get along with and very understanding when it comes to little or no experience. He took his time to explain things and was very patient with my whole class as we learned to sail at different paces. I would highly recommend this course and this school to anyone interested in learning to sail. I am very glad I chose this school and am looking forward to taking more classes from Go Sail AZ in the near future. The instructor, X, made it very simple to understand the points of sail and the handling of the boat. He also had a good sense of humor. We all became competent in a short time sailing around the island, tacking, jibing and trimming the sail. X also did a great job teaching what we needed for the test (all 4 students got a 100%). X gave us helpful pointers for how to handle higher wind situations which I will definitely use. Really an excellent experience. Our Skipper Mr. X took his time to provide valuable education on sailboat safety and instruction. I feel confident about renting a sail boat and taking my family out for an afternoon sail because of the experience and effort put forth by Mr. X. Great class with loads of hands on work that feels like a vacation. Excellent instruction. Learned quite a bit of technique. Capt Sutter is a great teacher & very nice gentleman. He was always patient & knowledgeable. The 2 day course was fun & he brought us back alive. Would recommend this course highly. Professional instruction with just the right amount of feedback to make a good learning experience without intimidation. Made learning fun yet relevant! Clint was a very easy going yet very effective instructor. His style is actual experience first, then theoretical understanding will follow. Had a great time and learned a lot. It was enjoyable learning about the systems and processes of the catamaran, and the boat itself was awesome. Thanks. Capt. Clint creates an easy environment for learning, provides hands-on examples, and ensures sailors focus on the practical application of the ASA skills. I took the course as a refresher before heading out into the BVIs and still found a great balance between fun, challenge, and getting comfortable skippering my own boat. I’ve been getting sailing training from Clint for over 5 years and I’m still impressed with his knowledge, and surprised about how much I learn in the middle of having fun. The instructor, Captain X, was knowledgeable, fun, and safe. He provided solid instruction and provided the history behind the reasons to give us a better understanding as to why we do things, like sailing by the lee. Captain X was patient and thorough with the crew and not only showed me how to do a particular maneuver, but also explained WHY which helps with understanding the overall strategy of sailing! , and there was just the right mix of relaxed enjoyment and intensity to get the materials to really stick. The test material was covered extensively throughout the course, and Captain X made use of every minute we had together. When the wind was down, we practiced knots and talked about right of way. When the wind was up, he encouraged us all to push ourselves and capitalize on the lift. And when the boat really heeled over, surprising us rookies, he took the tiller, eased the sheet, and immediately showed us how to regain our composure when we felt ourselves in over our heads. It was time—and money—well spent. I look forward to getting back out on the water with Captain X as soon as possible. Might be a few weeks, but my wife already knows we’re booking a 2-hour sail ASAP. Thanks. The instructor was perfect, patient and friendly. I would have preferred to get the material ahead of time though. Not only was sailing the boat so much fun, our instructor was very informative, funny, and helpful throughout the entire course. Excellent to work with, excellent training, looking forward to the next class. Great sailing introduction and clear instruction. Our instructor was able to make the best of challenging wind conditions and adjust the activities accordingly. Captain X is the best. Straight forward and very informative. Capt. X was a fantastic instructor. Knowledgeable, enthusiastic, and gave us the trust needed to truly feel confident. Wonderful class, awesome instructor, perfect experience! The instructors are deeply knowledgeable, but also fun. No one needs to sail. If it isn’t fun why bother? But it’s important to do it safely, correctly, etc. I would recommend Go Sail AZ in a heartbeat. Sailing with Captain x was exciting if not awesome. But don’t be fooled…he will push you outside your comfort zone and it’ll be money well spent. Awesome! Capt Clint and X are great to work with and provide excellent hands on instruction. Captain X is very knowledgeable and makes good company. I’m very glad I found this company. Had a terrific time and learned a lot! I got my ASA101 certification with Captain Clint and it was amazing. My wife bought me sailing lessons since I’ve always wanted to learn how to sail. Best weekend ever to be honest! Clint was really knowledgeable and patient. He let me try everything out until I really learned it. He was just a chill, easy going guy who really wanted you to learn sailing. I will be taking more classes with Clint in the future. Capt. Clint went above and beyond to make sure that the clsss was enjoyable and informative. Capt. Clint creates an easy environment for learning, provides hands-on examples, and ensures sailors focus on the practical application of the ASA skills. I took the course as a refresher before heading out into the BVIs, and still found a great balance between fun, challenge, and getting comfortable skippering my own boat. I’ve been getting sailing training from Clint for over 5 years and I’m still impressed with his knowledge, and surprised about how much I learn in the middle of having fun. 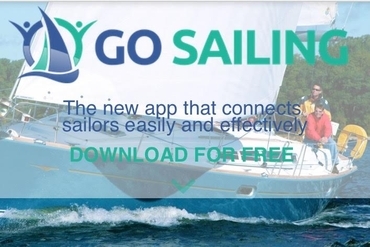 This is a great way to experience sailing firsthand. Whether you’re looking for a peaceful, leisurely escape or a spirited, wind-in-your-face adventure, you can’t go wrong, here. Having just completed my ASA101 course a month prior, it was nice to get back out on the water with Captain X and share the experience with my closest friends. While I’m sure I could have just sat back and been a passenger on this outing, I really appreciated Captain X putting me on the tiller and challenging me to call the shots. Amazing what a couple hours of seat time does to reinforce the concepts taught in the 101 course. I felt like I was really starting to get the hang of feeling and working the wind on big tacks, headed back to the marina. Can’t wait to get back out there. Might wear warmer clothes next time, though. The instructors are deeply knowledgeable but also fun. No one needs to sail. If it isn’t fun, why bother? But it’s important to do it safely, correctly, etc. I would recommend Go Sail AZ in a heartbeat. Click here and send us your testimonial.